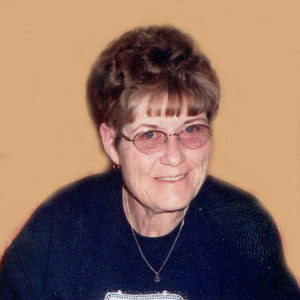 Beverly Axtman, 65, Wahpeton, ND, formerly of Fairmount, ND, passed away on July 17, 2013 at St. Catherine's Living Center, Wahpeton. Funeral services will be on Monday, July 22, 2013 at 10:30 AM at the United Methodist Church, Fairmount. Visitation will be on Sunday from 4 PM to 7 PM with a 7 PM prayer service at Vertin-Munson Funeral Home, Wahpeton. There will also be visitation one hour prior to the service at the church on Monday. Interment will be at Fairmount Cemetery. Arrangements are entrusted to Vertin-Munson Funeral Home, Wahpeton. Beverly was born November 18, 1947 to Clarence and Florence (Miller) Dyke in Breckenridge, MN. She grew up and graduated from Fairmount High School and also from Josef's School of Hair Design in Fargo. She married Dave Taylor in 1973, they later divorced. She married the love of her life, Jim Axtman on December 9, 1983 in Fairmount. Bev owned and operated Dyke's Café in Fairmount for many years. Bev was a member of the United Methodist Church in Fairmount, and was a very respected member of the community. She was always one of the first in town to help those in need and was honorary "Grandma" to many of the kids in Fairmount. One of her passions was cooking and anyone who knew her has enjoyed at least one of her meals. She loved to garden and in the fall can her produce she grew and would share with others the items she made. She had a beautiful voice and loved to sing whenever asked. She crocheted in her free time and made beautiful afghans' for family members, and new babies that were born in the community. One of her greatest loves was going to the lake cabin with Jim and fishing, they spent many hours together and with others waiting for the big one to bite. Family was the most important thing to Bev, and the loss of her husband, Jim in 2004, was extremely difficult for her. Grateful to have shared her life are her son, David (Renee) Taylor, Breckenridge, MN; her step-children, Steven Axtman, Medford, WI, Keith (Lory) Axtman, Lancaster, CA, Debbie (Kevin) Sittarich, Fairmount, Pamela Jensen, Medford, WI; her brother, CB Dyke, Jr., Fairmount; her sisters, Diane (Rob) Collins, Heber, AZ, Barb Filbert, Ellendale, ND; her 18 grandchildren, Jadelyn Taylor and Ashley Jordahl, Wahpeton, ND, Kennedy and Bridgette Taylor, Breckenridge; Joshua, Megan, Larissa, Jason, Lacy, Curtis, Keane, Logan, Spencer, Colton, Eric, Tasha, Heather and Dustin, 5 great grandchildren; nieces and nephews, Bill Filbert, West Fargo, ND, Clair Filbert, Wahpeton, Amanda (Ross) Merkel, Ellendale, Laurie (Ryan) Buntrock, Columbia, SD, Josh Collins, Ahwatuke`e, AZ, Jamie (Keith) Switzer, Dumfries, VA, Jaala (Dave) Grommisch, Anthem, AZ; her honorary "brother" David Meyer, and good friend, Jim Bernard, both of Fairmount. She was preceded in death by her parents Clarence and Florence Dyke, and her husband, Jim Axtman. She was always so good to me from my first memory of her as a young child. I have many memories of her working in the café and many times we all helped wash dishes or whatever else needed to be done. Bev was suffering so very much here at the end, it is a blessing she is pain free now and she is whole, new and perfect again. Fly safe Bev !